Founded in 2003 by a group of engineers in Silicon Valley who wanted to prove that electric powered cars could be better than gasoline-powered cars, Tesla has continued to amaze us, from Tesla roadster powered by AC induction motor to a Model S premium electric sedan down to the Nikola truck. Now to ensure that energy is sustainable, Tesla brings all that power to our homes. 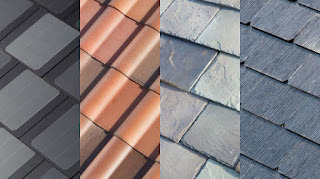 Not so long ago, Tesla announced the sales of its new solar power generating roofing tiles for our homes which Tesla claims is more affordable than convectional roofs lest I forget the two types out of the four created tiles is completely sold out into 2018 just after 16days of its release. No worries we are sure there will be enough to go around with additional production from the Buffalo, NY Gigafactory and further expansions to more locations. 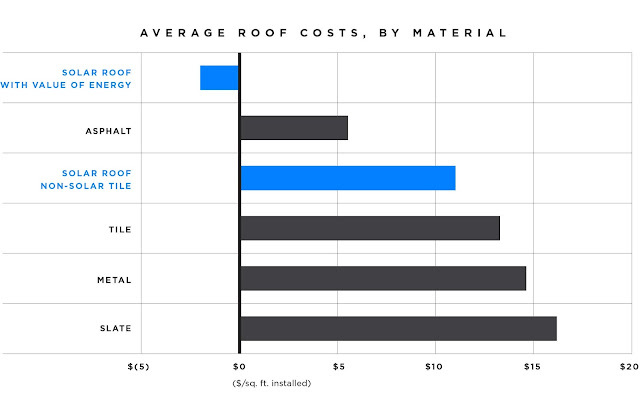 According to Tesla, the roofing tiles will cost less $24.50(7711.38 naira) per square foot for an average American home. Tesla provides two types of Solar roofing tiles - solar and non-solar and customers are allowed to select how many solar tiles on the basis of their home’s electricity consumption rate. There’s also a Solar Roof calculator that lets homeowners calculate the price of the required number of tiles and its energy value. The calculator considers factors such as roof size, average local price of electricity, and amount of sunlight a neighborhood receives annually. The solar power generating roofing tiles is available in different designs, such as Smooth and Textured (produced this year but is said to be completely sold out) and Tuscan and Slate (which will available by early 2018). 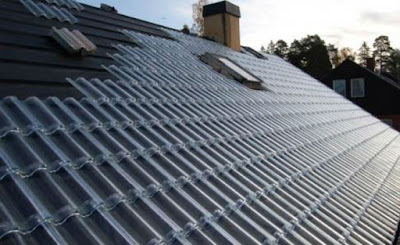 The roofing tiles are produced with tempered glass, less degradable, more durable, and claims to be stronger and weighs half of standard roofing tiles. Tesla is currently taking in orders and installations of Solar Roof already started in the U.S., other countries will get the product from 2018. Visit the Tesla website for more info. What is your take on this, please do share with us in the comment section below? I simply need to tell you that I simply look at your site and I think that its exceptionally fascinating and instructive..